Tasting Notes: Golden straw coloured ale with a delicate balance of bitterness. 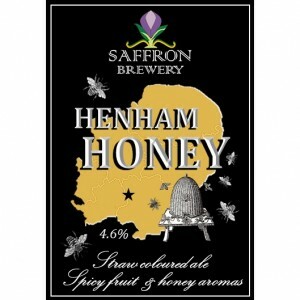 Malt spicy fruit and honey aromas. Story: Another one of our “Ronseal Beers”. No, it doesn’t taste of creosote, it just does exactly what it says on the tin! We have some lovely bees on the farm, who very kindly share their delicious honey with us to make this honey coloured ale extra special.